HIT! 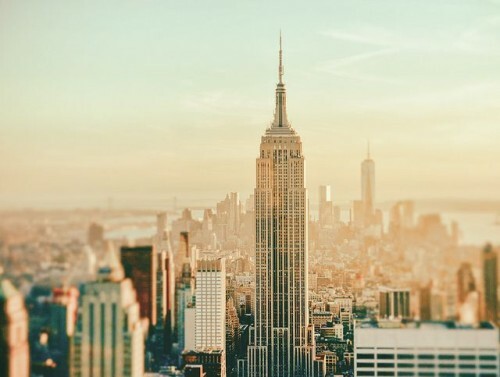 Error fare flights to USA: New York for €108! Here’s a great error fare after quite some time, this time to New York! Return flights from Thessaloniki to New York are now available for only €108! You can easily get to Thessaloniki with cheap Ryanair flights from any major airport in Europe, use our search form on the right side to find your connecting flight. Direct connections are from Athens, Barcelona, Berlin, Bratislava, Brussels, Budapest, Dublin, London, Milan, Paris, Rome, Stockholm, Warsaw and many more. Classic 23 kg check-in bag is also included in the price! You can end your trip in Athens as well on the way back if you do not check-in your luggage or ask to check it in only to Athens. Travel dates are from June to August 2019. Flights are operated by Aegean Airlines and Delta/Alitalia. BOOK NOW before it’s fixed! New York offers all kinds of accommodation from cheap hostels for budget travellers to super luxurious suites in 5 star hotels. You can find lot of great deals but it’s advisable to book well in advance. You can also book cheap room through AirBnB – get free €27 credit!